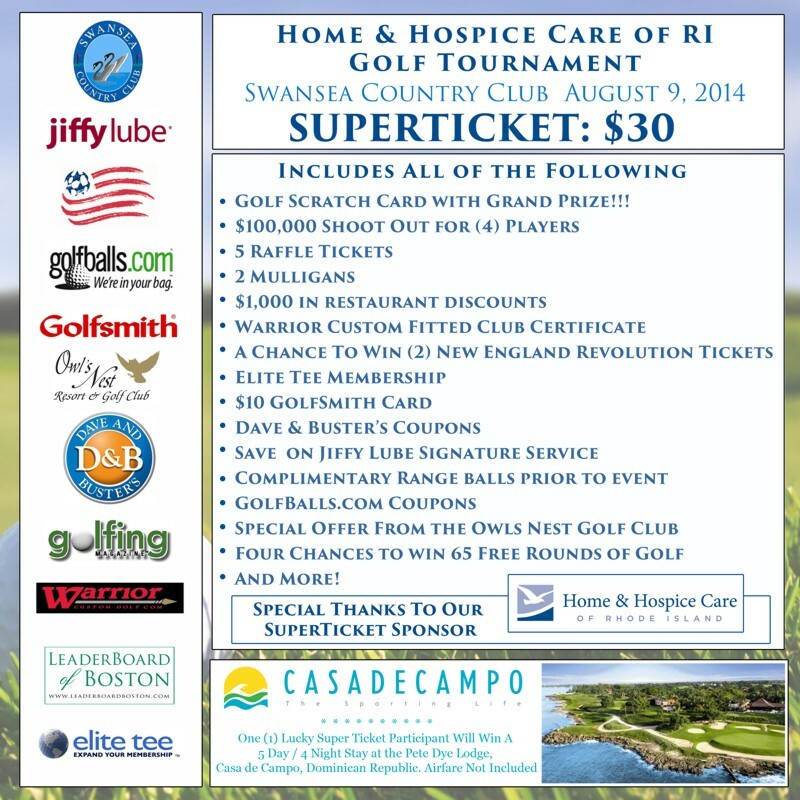 A Super Addition to your Golf Event! You are already surrounded by fans. Most of them feel strongly about your organization and cause and want to contribute to the success of your event. 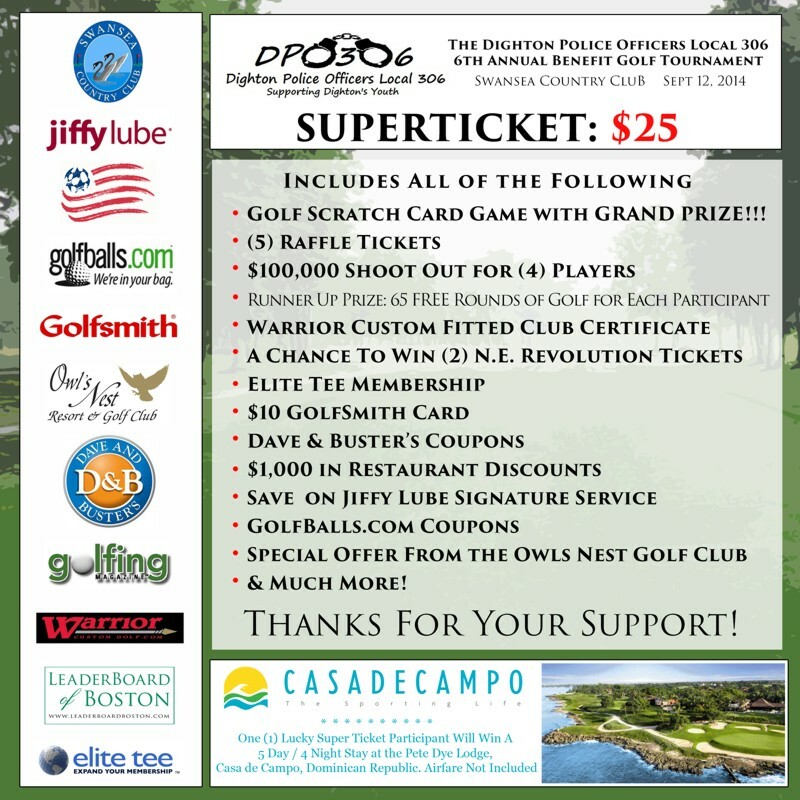 The SuperTicket provides your golfers with an opportunity to donate, help raise more money and participate in exciting competitions and promotions during and after golf. Another key, 75% or more of all revenues from the SuperTicket are additional NET PROFIT. That is one of the reasons why we typically see 70% of your players opting into the Super Ticket at registration. With typical pricing EACH SuperTicket sold generates $30 NET PROFIT. Sell 100 SuperTickets at your event and NET $3,000 PROFIT. For 2019 we have many reasons to say yes to the SuperTicket. $1,500+ value in promotions, coupons and prizes in every package for each player who opts in at registration. They pay once at registration and then enjoy the day, a key benefit. A great value for your players with one low cost…golfers love bargains! $100,000 Shoot Out for (4) Players chosen at random. 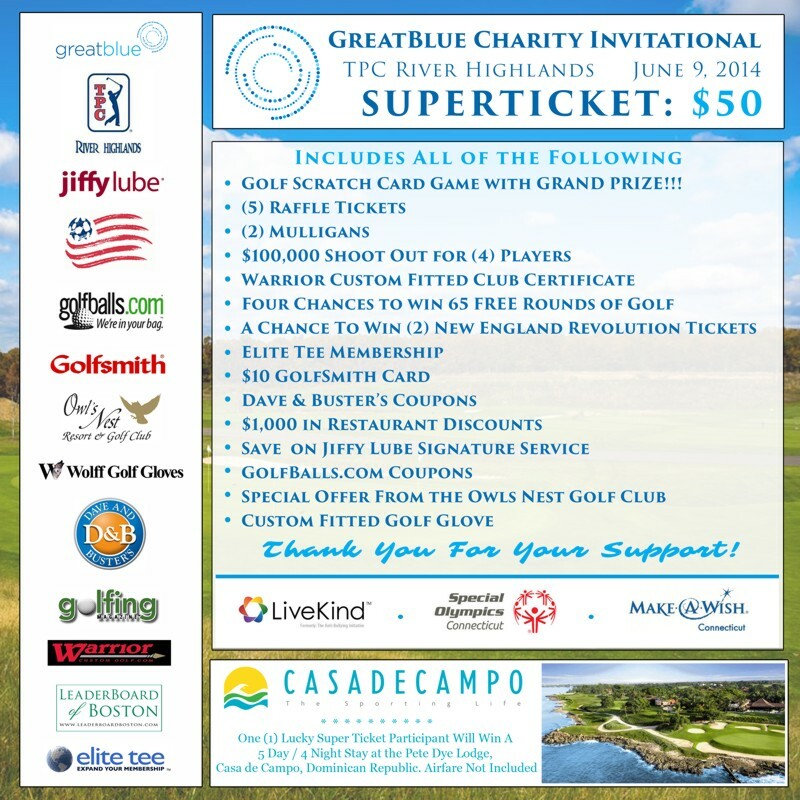 Our exciting Golf Scratch Card Game with a Grand Prize guaranteed at every event. Winners choose from three great options. Build in a shot of our LeaderBoard Air Cannon for even more participation and NET profits. 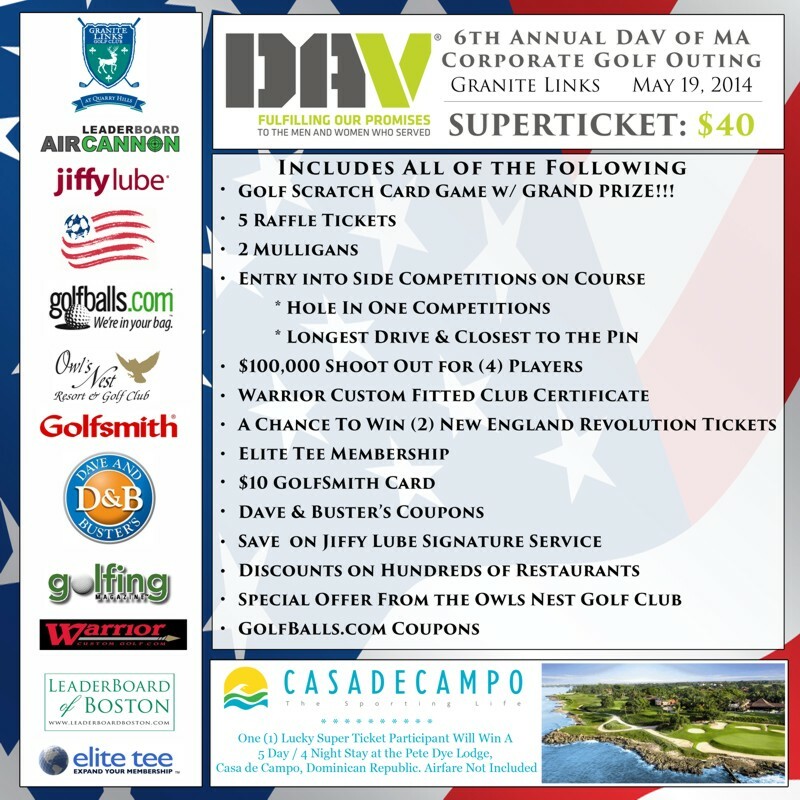 Add your locally donated prizes and promotions for a personal touch and added value, i.e., chances to win Red Sox, Patriots tickets and more. OPTIONAL upgrades available. Add a custom fitted golf glove or entry into our new “Break the Glass” competition. We custom design the content based on your priorities. 75% or more of all SuperTicket revenue goes directly to your charity. With typical pricing EACH SuperTicket sold generates $30 NET PROFIT. Sell 100 SuperTickets at your event and NET $3,000 PROFIT. You set the pricing based on your event and your players. Let us produce a mock-up for your tournament. 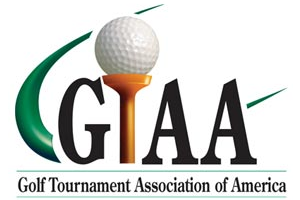 Supply the name of your event, the tournament date and your organization’s logo if available. We will send you a potential “look” for your SuperTicket. No obligations. Once approved, we will produce your custom SuperTickets. Minimum order is 50 units. Order as many as you need and return any unsold for full credit.